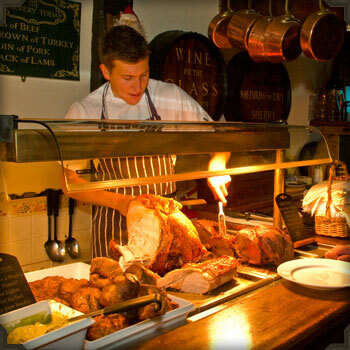 From locally caught seafood to our famous hand-cut chargrilled steaks, we are confident that we have a menu that wont disappoint. 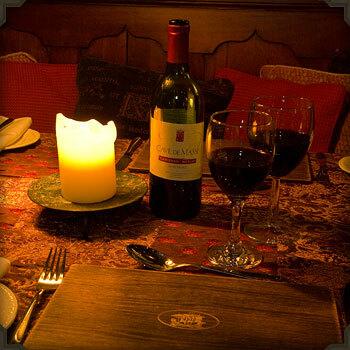 On this page you will find a selection of food and drink from our menus. If you would like to see the menus in full, please refer to the downloads section at the bottom of this page. Below are a selection of our starters taken from our main menu, to download a pdf of the full menu click here. All starters are served with our own home-made brown and white bread. .....with a garlic mayonnaise dip. .....we cook these in the classic French style, with sliced shallot, a little butter, fresh parsley and muscadet, finished with a light fish stock. .....scallops, king prawns, mussels, garlic. Below are a selection of our main courses taken from our full menu, to download a pdf of the full menu click here. All main courses are fully inclusive of a full selection of fresh vegetables and a selection of potatoes of the day and french fries. .....with Atlantic peeled prawns, King Prawns. .....apple, Cornish Orchard cider, cream, sage & crispy leeks. .....breast of chicken, chargrilled and served with lemon honey, spring onion & bacon gravy. .....served with a soy, honey sesame sauce. Below are a selection of steaks taken from our full menu, to download a pdf of the full menu click here. These best of British steaks are served with a full garnish of grilled tomato, mushrooms and all the trimmings. .....sirloin cooked to your liking and layered with sliced flat mushroom and cheddar or stilton cheese then baked till golden brown. .....sliced medallions of fillet with wild mushroom and finished with cream and brandy. Below are a selection of steaks taken from our main menu, to download a pdf of the full menu click here. Please note, local supply is subject to seasonal availability and landing conditions. .....white wine, shallot, lemon, chive, cream sauce. .....pan fried with rosemary, lemon and sea salt. .....baked in a paper bag, chilli, ginger, lime, spring onions. .....with raspberry sauce & soft seasonal fruits. Below is a sample of wines taken from our full wine menu, to download a pdf of the sample menu click here. We have graded all of our wines to help you choose the most appropriate for you. .....Bright cherry red with masses of red berry fruit flavours with a hint of vanilla. .....Blackberry and blueberry flavours with violets, fresh flowers and chocolate. .....A zippy, refreshing and sherbet style fizz with delicate fruity notes. 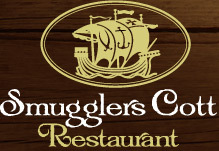 © 2018 Smugglers Cott Restaurant.